The architectural office hhharchitects was founded in the year 2000 by the architects Nikitas Hatzimichalis and Ioanna Holeva .The office is based in Athens and has a branch in the island of Skiathos. The emphasis on quality and functionality, the emergence of local elements and the search for new materials-technologies are our basic principles in designing projects. 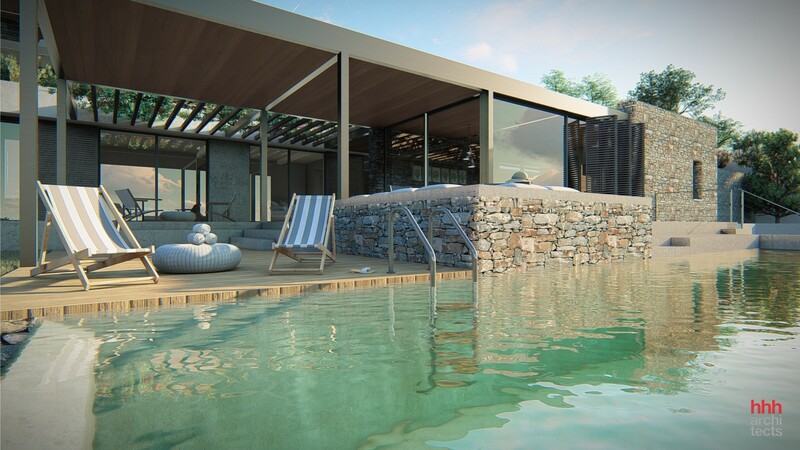 The Mediterranean climate and nature along with the Greek tradition in dialogue with a contemporary architectural design form are our basic tools in creating a project. In the recent years several hhharchitects projects have been awarded in architectural competitions and published in Greek as also in foreign journals. Nikita Hatzimichalis is an Architect (mag.arch.) graduate of the Vienna Academy of Fine Arts (1998). Ioanna Holeva is an Architect (mag.arch.) graduate of the Vienna University of Applied Arts (1997). Nick Hatzimichalis is an Architect (dipl.ing.) graduate of the Technical University of Aachen (1969).